It’s never too early to start planning your future and a group of Savio students have been inspired to start building their CV’s, as well as considering how subjects they choose may impact upon the range of university courses they may pursue. 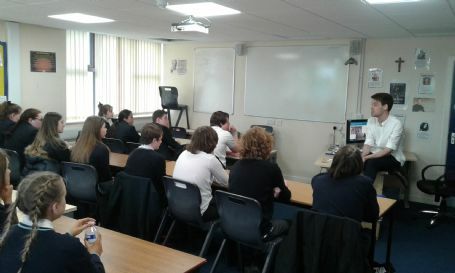 Year 9 and 10 students attended a Cambridge University Workshop led by Sandy Mill which was very stimulating and thought provoking leading to some probing questions and intense discussions. These students are armed with ideas so look out world they will want to make a difference.